On 7th November 2013, Baroness Cox led a short debate on what assessment Her Majesty’s Government have made of the situation in Sudan, and the implications for citizens of the Republic of South Sudan. The Bishop of Guildford, the Rt Revd Christopher Hill, took part in the debate. 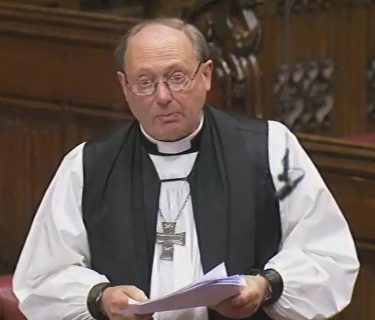 The Lord Bishop of Guildford: My Lords, I completely endorse what has been said so far in this discussion. I want to raise a rather different point, but equally I want to express my distress—and, indeed, my shared anger—about the humanitarian, agrarian and political disaster about which we have been speaking. My rather different point is a question about the implications of further destabilisation of Sudan for the country’s international neighbours. I think that that is an important point. I visit Nigeria regularly, and I am due to fly out to Abuja on Sunday. Four years ago, I was able to go to the province of Maiduguri up in the north-east. I cannot go there now, at the moment anyway, because of the political situation. Maiduguri is a long, long way from Sudan—many miles away. Nevertheless, I believe that there is a connection. When I was there four years ago I visited some of the townships on Lake Chad itself, and was asked by a small Christian community to go on the lake in a little fishing boat with an outboard motor. I heard of the troubles and the difficulties there—not least the difficult political jurisdictions around Lake Chad, on which I will not elaborate—and of the problem of a receding lake and what that will do to those communities. When I got back I was told that the relationship between the small minority Christian communities in one of those townships and the majority Muslim population was very good until people came from Sudan through Chad, over Lake Chad. Then the trouble started. There is a real question about the escalation of ethnic and religious violence, and its spread from east Africa to west Africa. That is anecdotal, but my intuition is that it is probably right, although at the moment in relatively small scale. The noble Baroness, Lady Cox, could say more about that, as she is very aware of the situation in Nigeria. I therefore ask the Minister perhaps to touch on the risk of a more general destabilisation of east and west Africa spreading from Sudan, as the situation there continues seriously to deteriorate.